Jim Smallman came out by two Stormtroopers to Imperial March, when entering the ring The GZRS music hits and the Stormtroopers stripped off to reveal they were The GZRS, Tom Irvin & Sebastian. Seb is currwntly recovering from a shoulder injury and will be back at “ENDVR:12” when The GZRS take on Project Ego in the main event. 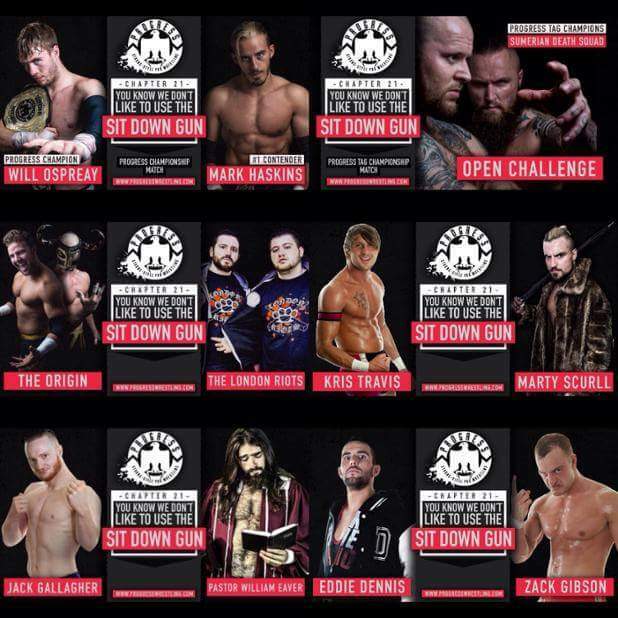 El Ligero was powerbombed on to chairs on the outside, seemingly leaving Cruz on his own until Zack Gibson appeared and handed Cruz a fork, Cruz used the fork on both members of the Riots whilst the referee, Chris Roberts, was distracted and then Cruz got the pin for the win. Zack Gibson is accompanied to the ring by The Origin’s, Nathan Cruz. Cruz caused the distraction, Eddie pulled him into the ring and Gibson went to use the fork on Dennis but was stopped by Dennis, Cruz then took the fork from Dennis allowing the referee to be further distracted, Gibson then gave Dennis a low kick and a school boy for the win. As we are about to go to intermission, Jimmy Havoc and The Regression, Paul Robinson & “The Omega” Isaac Zercher, Havoc demands a #1 Contenders match against anyone right here and now, Jim Smallman says that they thought this would happen so he can have the match, a No Disqualification against… Paul Robinson! And if either of them just lay down they will be FIRED! Have a good day! Havoc and Robinson try to get Zercher to help them but he just gives them both the middle finger and leaves. Items of violence used: Tables, a frying pan, staple gun (to Havoc’s balls), kendo stick, flueresent light tubes taped to the ring post (Havoc went head first in to those), steel chairs, thumb tacks and more lights tubes. Finish came when Robinson hit a footstomp through lights tubes set up on chairs. The rest of the action was so violent to call but this should be viewed on Progress On Demand. 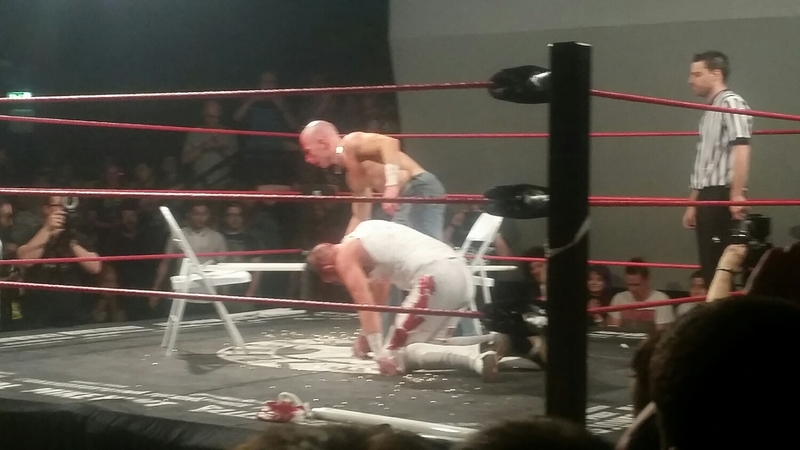 Jim Smallman helped Havoc up after the match and Havoc left to a standing ovation. Kris Travis made his return to the Ballroom to a defening reception. Beautiful moment as Scurll and Travis shook hands and hugged before the match. After the match, Scurll raised Travis’ hand, but applied the Chicken Wing not once but twice, security couldn’t get Scurll off Travis leading to The GZRS, Eddie Dennis and commentator, R.J. Singh to get him off. PWG World Champion, RODERICK STRONG!!! ADAM COLE is his partner!